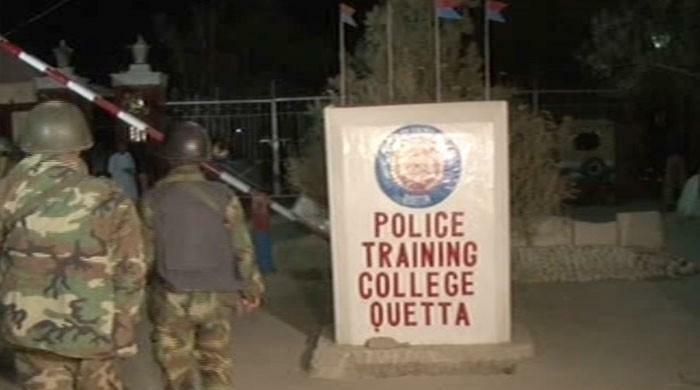 At least 50 young people (mostly police recruits, a few guards) have been killed in another terrible terrorist atrocity in Quetta. 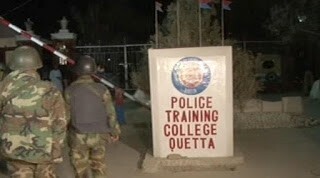 A police training college was attacked (not for the first time) by terrorists on a road that has seen literally dozens of attacks and has a checkpoint every few hundred yards . 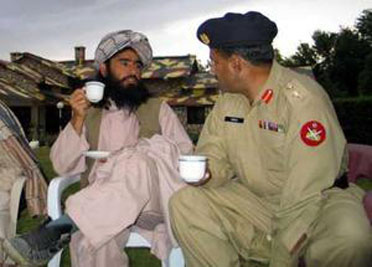 The chief law enforcement officer in Balochistan (the head of the paramilitary Frontier Corps) has blamed the Lashkar e Jhangvi al Alami (the worldwide army of Jhangvi, an anti-Shia group) for this attack. This group is supposedly a splinter of the larger (and until recently, semi-legal) Lashkar e Jhangvi, who are themselves the “militant wing” (implausible deniability) of the even larger (and even more legal) ASWJ (supposedly banned, but recently invited to meet the interior minister, who reportedly assured their chief that he was “a man of Islam and therefore a supporter of Islamic parties”), and so it goes. General Asad Durrani, ex-chief of the ISI and proud “intellectual soldier” said it best; the deaths of thousands of innocent Pakistanis are the collateral damage of our successful strategy of “winning” in Afghanistan. Which is itself collateral damage of our eternal “war till victory” with India. Great nations have to be willing to make small sacrifices. And what are a few thousand dead people in the greater scheme of things? and of course, what are a few lies between friends? Meanwhile, Chori Nisar’s meeting with the ASWJ and the good terrorists of various stripes is a clear indication that nothing will change because nothing CAN change. If we are the citadel of Islam and India is our eternal enemy whose current borders we intend to change (by force, there being no other obvious way of doing so), then the rest follows like the cart follows the horse. 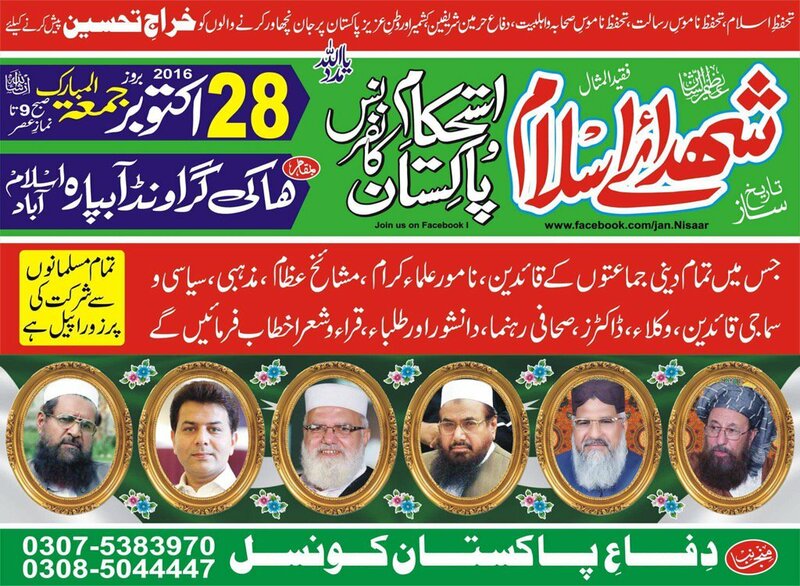 By the way, as shown in the above poster, the LET is holding a funeral in absentia for one of its terrorists/militants/freedomfighters killed in an attack in Kashmir that killed soldiers (on a smaller scale) similar to the attack on the police training center in Quetta. To own one and condemn the other would be morally shaky, though perfectly reasonable in terms of war. But the weird thing is, most people in Pakistan (even as many of them accept the necessity and even support the ideals of this war) do not really go about their lives as if we were at war with India. We get upset that our artists are not permitted free travel and opportunities in India or that Modi is not as “soft” with our establishment as past Congress regimes have sometimes been in public pronouncements… but it may be time to think about this: it is possible to have your cake and eat it too, but not forever.. Sure, if we are fighting a 1000 year war for Kashmir (and beyond), then so be it. We will have our successes and our enemies will have theirs. But have we really thought this through? Next PostNext Pakistan and GHQ’s commitment to fight terrorists..